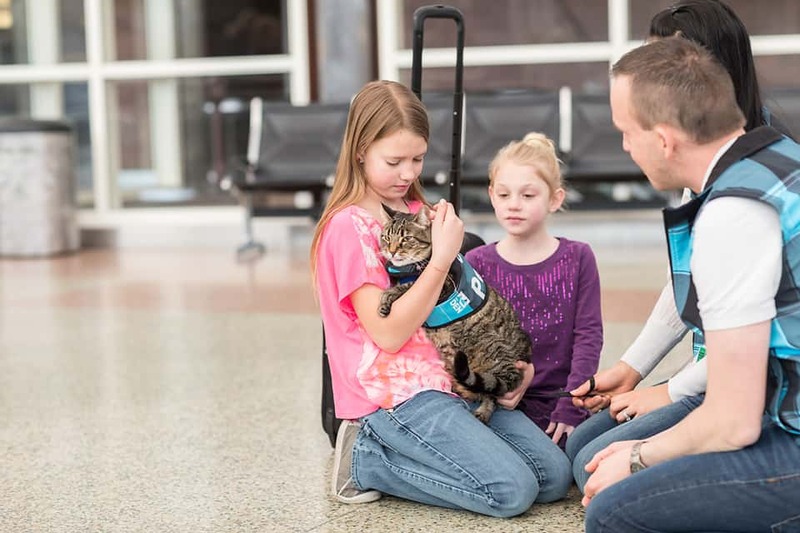 Denver Airport Has Its Very Own Therapy Cat! 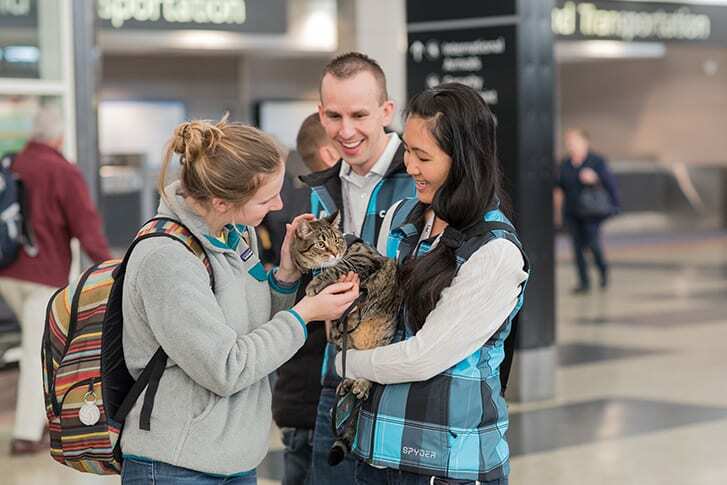 In 2015, the Denver International Airport created what has now become the largest airport therapy animal program in the country. Their Canine Airport Therapy Squad (CATS) is made up of more than 100 certified therapy dogs. But funnily enough, despite its acronym, the program didn’t have any cats. That is, until October 2017. 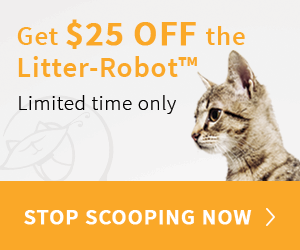 Meet Xeli, the first certified therapy cat for CATS, certified by Pet Partners. 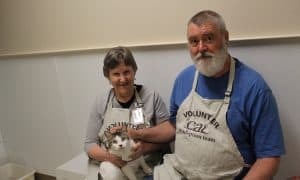 Weighing in at just 12 pounds, Xeli and the rest of the four-legged volunteers for CATS delight travelers through Denver with a friendly wag or furry cuddle. She gives welcome relief to weary travelers and helps ease their tension and anxiety. 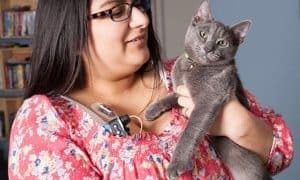 Along with the rest of her CATS comfort crew, Xeli works two-hour shifts (with a human companion) and can be found wearing a distinctive blue, plaid “Pet Me” vest. 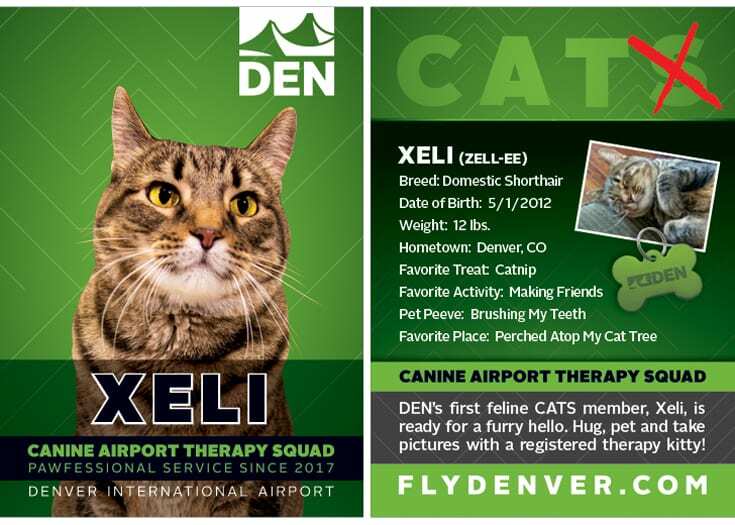 Passengers can hug, pet, and take pictures with Xeli and can check the airport’s Twitter account to see when Xeli or one of her dog partners will be out. 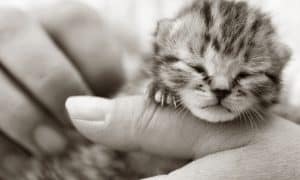 The Petco Foundation and Merrick Pet Care are joining together to support the incredible work of service, therapy, and other working animals who save and improve the lives of hundreds of thousands of people. Donate today to support Helping Heroes like Xeli.